Meet the City of Irvine's tennis professionals, all of whom are United States Professional Tennis Association (USPTA) or Professional Tennis Registry (PTR) certified. They offer both group and private lessons at various City parks. To register for a lesson, please call registration at 949-724-6400. 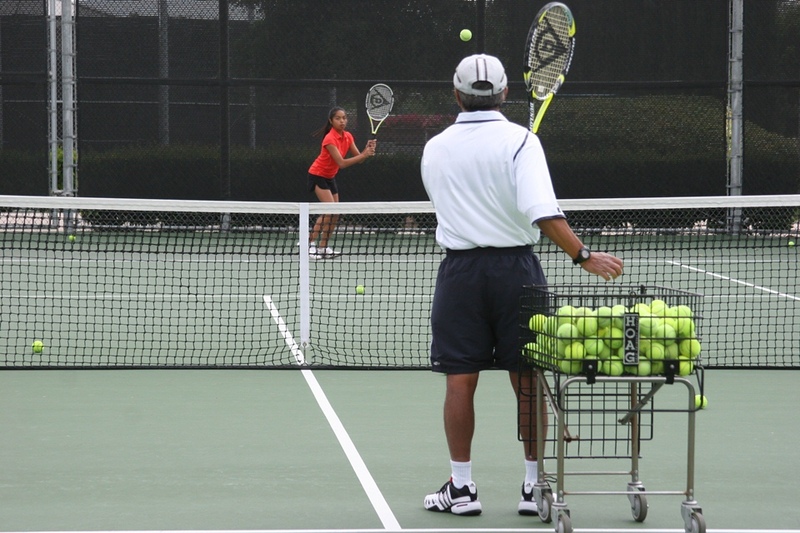 Only the instructors shown are authorized to teach at City of Irvine tennis facilities. Any unauthorized commercial use (lesson, tournaments, etc.) on City courts is a misdemeanor, pursuant to Irvine Municipal Code, Section III.G-201. Speak with one of the instructors. Report an individual posing as a City instructor/teaching illegally. Obtain information on how to become a City tennis instructor. Obtain more information about the City's tennis program. Click on each professional's picture for their biography. Alex was born and raised in Argentina and is fluent in Spanish. He began playing tennis when he was 9 years old. He played junior level tennis and progressed to open level until age 19, and afterward played several tournaments (majority on clay) in Buenos Aires between 1995 and 1998. He also worked as an assistant pro for two years. In 2001, Alex moved to California where he continued coaching private and group lessons. He acquired a Professional Tennis Registry Adult and 10 & Under Development certification (Professional Level). In addition, Alex completed the “Foundation of Tennis Teaching” directed by Coach Don Henson. He teaches at Cypress Community Park. For more than 30 years, Chris has conducted junior lessons and leagues for the City’s tennis program, offering grass roots lessons to competitive teams. Getting kids started and giving them a chance to pursue a goal of playing tournaments or high school tennis is what Chris loves to do. Chris graduated in 1981 from UC Irvine (#2 singles) and played professional events for several years, attaining an Association of Tennis Professionals ranking in singles and doubles. Coaching highlights include National and State USA Team Tennis Champions and seeing former students receive college scholarships. Chris teaches at Heritage Community Park. Desiree was born and raised in Southern California and started playing tennis at the age of 9. At the junior level, Desiree was ranked top-100 nationally and top-20 in Southern California and received a full athletic scholarship to Brigham Young University (BYU), where she played top singles and doubles and also served as a fifth-year volunteer coach. She started coaching tennis at the age of 18, being one of the tennis coaches for BYU Summer Tennis Camps for the next four years. Desiree decided to commit to coaching tennis in June 2015 after graduating from BYU with a degree in Exercise Science. 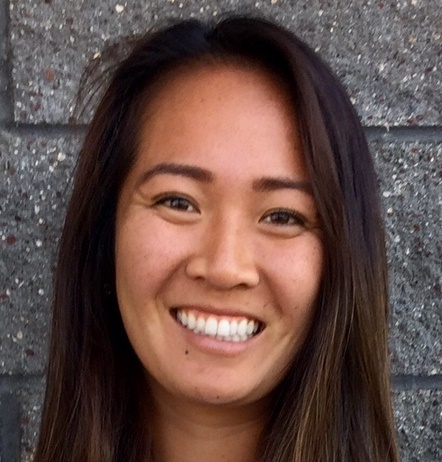 Desiree served as the head tennis coach for Corona Youth Tennis League in 2015-2016. During the 2016 season, Desiree served as a volunteer women’s assistant coach for Cal State Fullerton. She was named the assistant women’s tennis coach for UC Irvine 2016-2017 season. Desiree enjoys working with children on teaching them how to enjoy the sport, and how to be the best tennis players they can be. She is a member of the United States Professional Tennis Association and Professional Tennis Registry. Desiree is currently teaching at Northwood Community and Citrusglen Neighborhood Parks. Dianne was named head women’s tennis coach at Cal State Fullerton in 2014, and remains in the Big West Conference after serving as an assistant on UC Irvine’s staff during the 2013 season, and head coach at Maryland College during 2011-2012. Dianne spent her first year in coaching as an assistant at UC Irvine in 2009. Born in Balagtas, Bulacan, Philippines, Dianne competed as a member of the 2007 Philippine team at the South East Asian Games and the 2008 Philippine FED CUP team. A 2007 graduate of the University of Southern California, Dianne ranked as high as No. 32 nationally in singles and No. 28 in doubles at the collegiate level. At the junior level, Dianne enjoyed a prolific career as one of the best players in California and in the nation. Dianne was ranked as the No. 1 player nationally in singles at the U16 level in 2000 and 2001. Also in 2000, Dianne earned the distinction of the USTA’s Southern California Player of the Year. Dianne teaches at Colonel Bill Barber Marine Corps Memorial Park. Before receiving a Division 1 scholarship to DePaul University, George held a ranking of #3 nationally as a junior player in Canada and also represented Chinese Taipei at the ITF World Junior Cup (Sunshine Cup). After graduating from DePaul, George obtained a Master’s degree in Sports Management from Henderson State University, where he also served as the graduate assistant coach for the men's tennis program. In the last decade, George has mentored many tennis players at different levels, including tour level professionals, NCAA players, regional club members, and summer camps for kids. Before joining the City of Irvine, George spent several years on the ATP and WTA tour as a touring coach for many Taiwanese players such as Chia Jung Chuang (highest ranking at #5 in WTA doubles) and Tsung Hua Yang (highest ranking at #1 in ITF Juniors). During his time on the tour, he was able to work closely with other top ranked doubles players like Lisa Raymond (USA), Sania Mirza (India), and Latisha Chan (Chinese Taipei). In 2009, George was appointed to be the Assistant Coach of Team Chinese Taipei for the World University Games in Belgrade, Serbia. After his time travelling internationally, George served as the director of tennis at the Taipei City Tennis Center where he oversaw 10 to 15 tennis pros and 200+ players for the city in the last 3 years. George is fluent in Mandarin, Taiwanese and English. He is currently teaching group and private lessons at the Great Park Tennis Center. 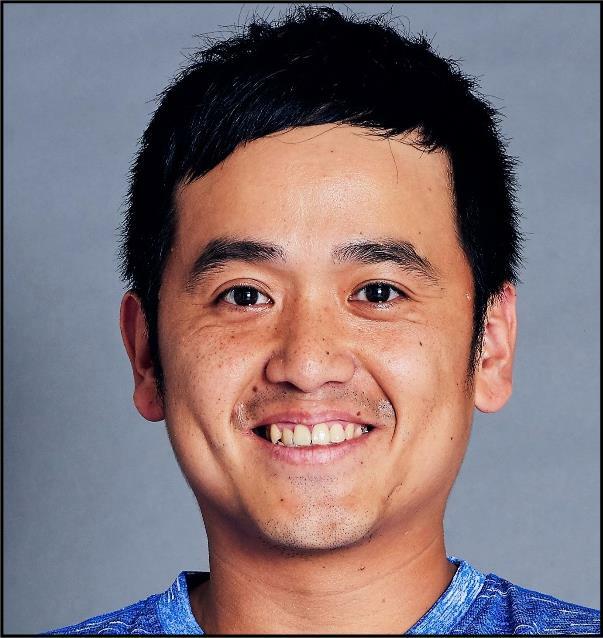 Hiroki is a PTR Professional who started his coaching career in 2006 at the Tachikawa Junior Tennis Academy in Japan, where he stayed for eight years. He graduated from the Tokyo University of Technology with a Major in Bioscience. In 2011, he won the Yokosuka City and Kanagawa Prefectural Amateur tournaments. In September 2014, he served as a Coach at the Pro Star Tennis Academy until becoming a tennis professional for the City of Irvine in September 2017. Hiroki currently teaches at Eastwood Neighborhood Park and speaks fluent Japanese. 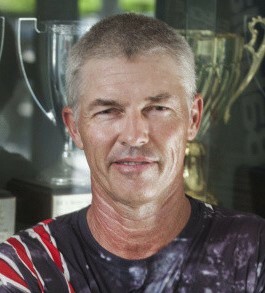 Jon has coached tennis for more than 17 years in Southern California. As a coach, he has won two National Team Tennis championships and taken teams to Nationals nine times, winning nine Sectional Championships (four team Sectional Runner-up trophies) and 15 League Championships. Jon has also coached/captained teams in a Men's Pro Tennis League with ex-pros like Jeff Tarango, Michael Joyce and USC Men's Tennis Coach, Peter Smith. Jon is a PTR Professional. Jon's teaching style is to assess a player's needs and teach the skills necessary to develop a winning mentality that will help students advance to the next level. Jon has also coached juniors in swimming and diving, won a Los Angeles City Softball Championship, college Squash championships, Paddle Tennis National championship and basketball championships. Through various sports, Jon has had great success devising a winning strategy. His goal is to create a fun and safe environment where students of all ages can acquire the skills to improve, think for themselves and enjoy playing the sport. Jon joined the City of Irvine tennis program in 2013 and teaches at Valley Oak Neighborhood Park and Cypress Community Park. Jonathan started playing tennis at age 13. As a sophomore in high school, he played on the varsity tennis team and continued on the singles and doubles tennis team at Saddleback College in Mission Viejo. Jonathan has been teaching tennis for the City of Irvine since 2011 as an assistant at Col. Bill Barber Marine Corps Memorial Park and Homestead Neighborhood Park. He is very eager enthusiastic about teaching tennis. As a PTR Professional, Jonathan believes that tennis can be a very fun and enjoyable sport that one can enjoy for life. Jonathan teaches at Col. Bill Barber Marine Corps Memorial Park. Juan is a native of Bogotá, Colombia, where he played in every major junior tournament. By the time he was 18, Juan was ranked in the top 20 junior players. In 1995, he moved to Pensacola, Fla., where he attended Pensacola Junior College and taught tennis at the Roger Scott Tennis Center for three years. Juan completed his college education at University of South Florida. Every summer during college, he worked as an assistant director for the tennis program camp Taconic located in the Berkshire Mountains in Massachusetts. The Professional Tennis Registry certified Juan as a professional coach in 2000. Juan teaches at University Community Park, and speaks fluent Spanish. Elite Level 1 Certified Tennis Professional, Kevin Garrett has achieved the second highest ranking of United States Professional Tennis Association. To attest to his dedication to provide an elite level of coaching, Kevin has studied international Spaniard training methods with Emilio Sanchez-former world #7 singles and #1 doubles, and Spanish Davis Cup Coach. Over his high school teaching career, Kevin has a total 142 wins and four losses and was named High School Coach of the Year four times. He is currently a coach at University High School. Kevin has continued to produce tournament players throughout the years, in addition to numerous Local and National tournament wins, his students have also won the Ojai, Junior College State Titles, National Collegiate Athletic Association’s Individuals, and found Association of Tennis Professionals (ATP) and Women’s Tennis Association (WTA) tour success. 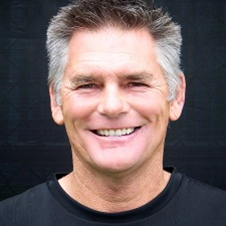 Kevin not only has coaching experience, as he has ample experience in different roles such as Director of Tennis, Head Tennis Professional, World Team Tennis League Coordinator, Junior Team Tennis Coach and Organizer, and has developed and overseen multiple Junior and Adult Tennis Academies and Challenge Ladders. Kevin is currently teaching private tennis lessons at Great Park Tennis Center. Prior to becoming a tennis professional in Irvine, Lanea spent more than 18 years in the field of early childhood education and young children management. Her special skills include working with children and adults with disabilities. Lanea is a PTR Certified Professional and a member of the USTA. She serves on the advisory staff of HEAD/PENN, is endorsed by Lotto Sports USA, and was awarded the Head/Penn Advisory Pro of the Year in 2012. Lanea co-captained Turtle Rock Jr. tennis teams to win 49 league championships, seven Orange County championships, seven Southern California sectional championships (2007, 2012, 2013, 2014 and 2015) and one State Championship in 2013. Lanea is an Irvine resident and enjoys playing competitive tennis. She enjoys creating exercise materials and curriculum both for fine motor and gross motor skill development, and giving children and adults a variety of exercises to enhance their physical coordination and concentration to perform in any activity. She teaches at Turtle Rock Community Park. A consummate sports professional and PTR pro since 1991, Minako has a passion for tennis, a love of teaching and a talent for creating joyful tennis experiences for players of any age, skill or background. Minako is adept at analyzing court strengths and weaknesses and providing simple, easy-to-master techniques designed to quickly improve her students' game. Minako is also a certified personal trainer, an American Red Cross-certified WSI swimming instructor, a CMAS (Confédération Mondiale des Activités Subaquatiques) 2-star scuba-diving instructor, and a Surf Life Saver. She speaks fluent Japanese. Minako teaches at Las Lomas Community Park. Nic was born in Honolulu, Hawaii, and started playing tennis at age 14. Nic trained at Punahou School and in San Antonio at McFarlin Tennis Center, and returned to Hawaii where he was ranked in the top 15 in the state. Nic began his career in teaching tennis when he was 18. He moved to California in 2008 and coached at Francis Parker Girls JV and Varsity. Since 2011, Nic has taught students of all ages and levels in San Diego at the Barnes Tennis Center. Nic teaches at Colonel Bill Barber Marine Corps Memorial Park. Rick began teaching tennis at Heritage Community Park in 1996. He then moved to University Community Park and later to Knollcrest Neighborhood Park in 2011. He was a member of the USPTA for 10 years and is now a member of the PTR. Rick has also been an in-store technical advisory staff member for Wilson Sporting Goods Co., a USTA clinician, a volunteer area coordinator for the USTA School Tennis Program in Orange County, and an Instructor for the Amateur Athletic Foundation Southern California National Junior Tennis League. He has coached junior team tennis players and led many 12 and 14 year old teams to Section Championships and helped many students make their high school tennis teams. Rick teaches group classes and private lessons at Knollcrest Neighborhood Park. Rommel has taught tennis for Irvine since 2005. He started his tennis career training and playing tournaments in Illinois before moving to Irvine to play at Woodbridge High School. Rommel then went on to play on the Irvine Valley College Men’s Tennis team, where he eventually became a coach. Rommel teaches at Citrusglen Neighborhood Park. Ross started his coaching career in Pivoda's Tennis Academy in Ostrava, Czech Republic. He played on the Czech junior tour, in the Czech Master Club tennis team league and in junior and inter-school tournaments in Sweden, Italy and Poland. When he moved to the United States in 1998, Ross became a coach at Heritage Community Park. In 2001, he began teaching at Tustin Racquet Club followed by a career as a private instructor and a coach for the cities of Tustin and Irvine. Ross coached his junior tennis teams to win 49 league championships, seven Orange County championships, seven Southern California sectional championships (2007, 2012, 2013, 2014 and 2015) and one State Championship (2013). Ross is USPTA Certified and serves on the advisory staff of Head & Penn and is endorsed by Lotto Sports USA. Ross was awarded the Head/Penn Advisory Pro of the Year in 2007 and again in 2012. Ross became a tennis coach because teaching tennis is a rewarding career that keeps him active and allows him to help others play a sport that has brought him much joy. He offers a full tennis program, providing instruction to all ages and levels. He runs tennis clinics, camps, USTA Jr. Tennis Team and private lessons at Turtle Rock Community Park. 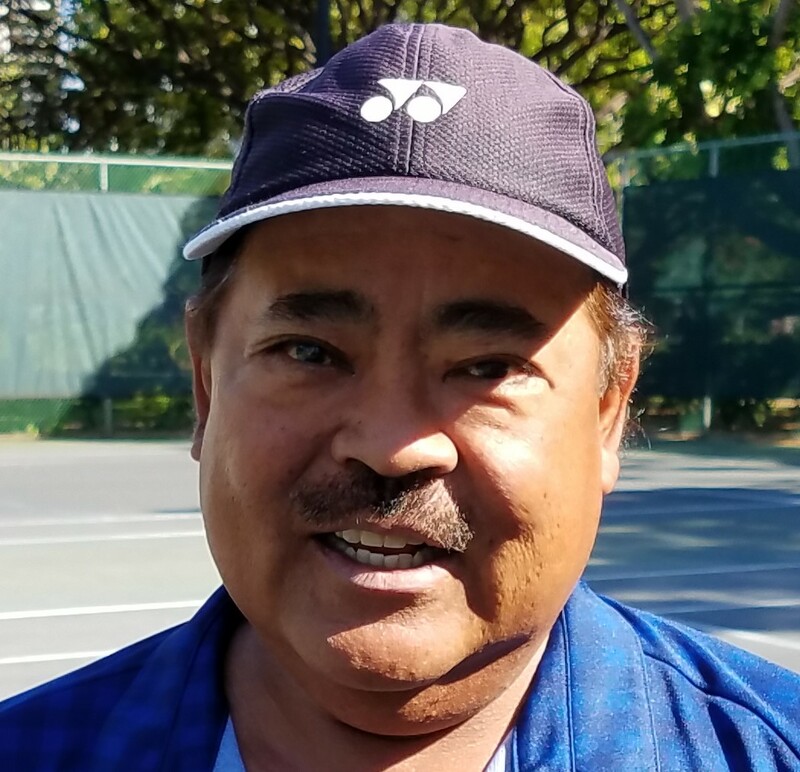 Ruben has more than 30 years of tennis teaching experience, including teaching roles at Palos Verdes, Torrance and the Harbor Bay Club in Northern California. He played for UCLA and Cal State University Dominguez Hills (NAIA Nationals Championships, 1976). He also played on the Southern California 1995 USTA 5.0 Men’s National Team, and the 1994 and 1995 Southern California USTA 10.0 Mixed Doubles National Championship Team. Ruben’s teaching philosophy emphasizes having fun and learning the fundamentals in all aspects of the game to ensure students build a strong foundation in order to reach their full potential. Ruben teaches at Deerfield Community Park. 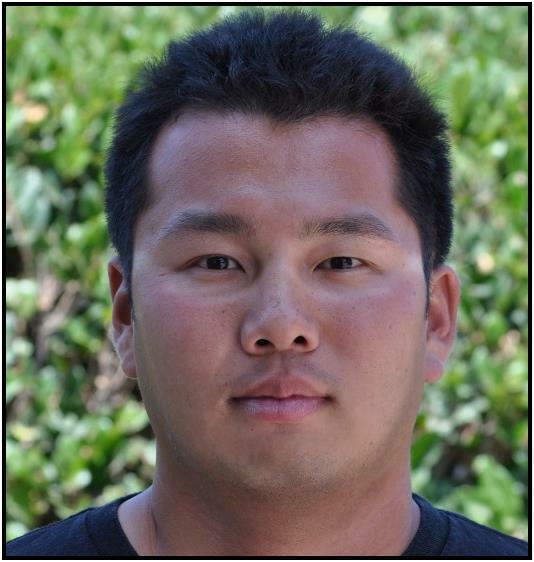 Sheldon Hseih is a certified USPTA Tennis Professional and previously coached at Seal Beach Tennis Center. He is from Long Beach, California, and started playing tennis by age 8 at the El Dorado Tennis Center. Sheldon was also a 3-time MVP while attending Poly High School. After high school, he attended Cerritos College attaining the #12 ranking in the Junior College Division. Sheldon reached the Semi-final Round of the South Coast Conference tournament, qualifying for the College State Tournament at Ojai in singles and doubles. Sheldon enjoys coaching and bringing the love of the game to all ages and skill levels. He is currently teaching at the Brymer Lewis Tennis Academy at the Great Park Tennis Center. 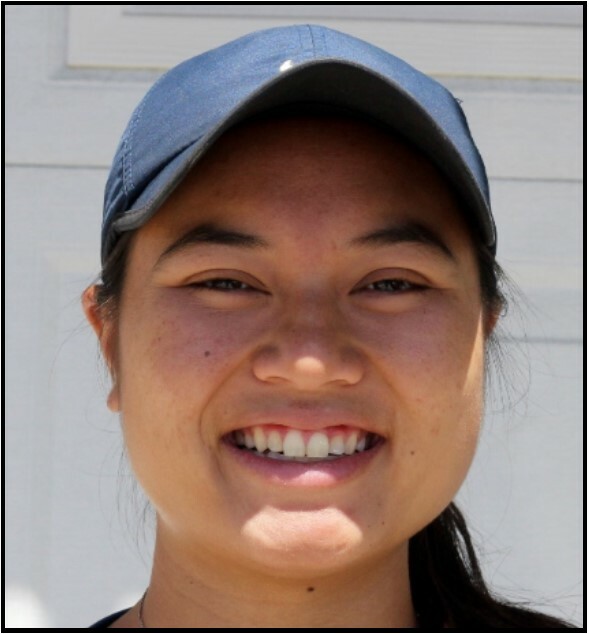 Sophie Han is a PTR Professional who started teaching in 1998 at the Beverly Hills Tennis Center. She graduated from California State University of Long Beach with a degree in Kinesiology and Physical Education and played on the Women’s Tennis Team, being named to the All Team Big West Conference in 2000 and 2001. After college, Sophie began coaching and served as the Head Coach for the Men and Women’s Tennis Teams at Mt. San Antonio College from 2006 to 2016. She was named the South Coast Conference Women’s Tennis Coach of the Year from 2010-2012 and led the team to their first State Championship in 2015. While coaching at Mt. San Antonio College, Sophie served as a Tennis Professional and Assistant Manager at the Upland Tennis Club from 2003-2015. Sophie joined the City of Irvine in October 2017. Sophie will be teaching at the Great Park Tennis Center and speaks fluent Korean. Tae started playing tennis tournaments in New York when he was 12 years old. His highest ranking was No. 17 in the North-Eastern Section of the USTA 18 and under division. Tae received a full athletic scholarship to the University of Stony Brook and played top singles and doubles. After college, he trained in Korea and landed at the Chris Evert Tennis Academy in Florida where he taught under Guillerme Raoux, who was once top 30 in the world, and Andi Brandi, who led the University of Florida women's team to win three NCAA Division 1 Championships. He also trained with top professionals and national junior players. He returned to New York and continued playing tournaments and was ranked No. 11 in the North-Eastern Men’s Open Division. In 2003, he taught at the US OPEN National Tennis Center in Flushing Meadows. A year later, he continued his teaching at a private club. In 2011, he started Lock and Roll tennis and a website where students of all levels can learn to play tennis through videos, images and detailed explanation. He is also one of the leading tennis coaches on Youtube with more than a million views on all his videos combined. Tae teaches at Homestead Neighborhood Park and speaks fluent Korean. 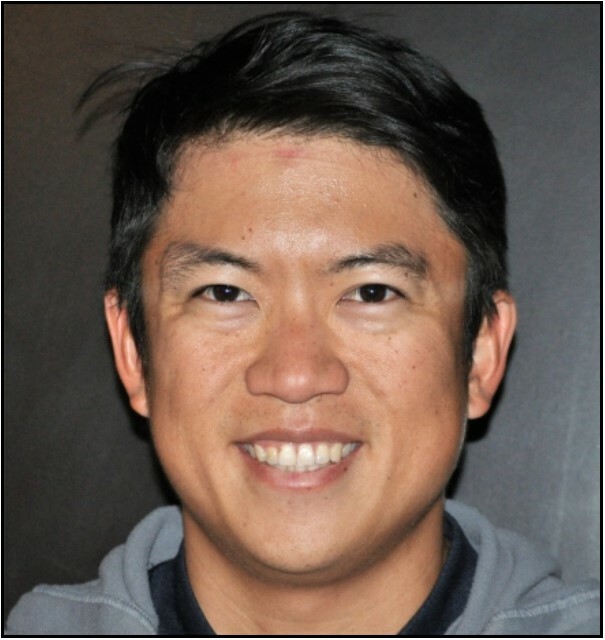 Tin Capulong is a USPTA Elite Tennis Teaching Professional with over 30 years of experience. Tin attended Indiana State University and was named team captain of the Men’s tennis team. He became ISU’s Most Valuable Player and was a Missouri Valley Conference Champion. Tin represented the Philippines in the Davis Cup & Nations’ Cup. He achieved the ranking of #3 in the Philippines and reached a ranking of #731 in Singles and #727 in Doubles on the ATP tour. After playing on the tour, he became the Director of Tennis & Head Tennis Pro at clubs in Texas, Colorado and California. Tin currently teaches lessons at Stonegate Neighborhood Park and speaks Tagalog fluently. Danielle Pham started playing tennis through the City of Irvine’s tennis program and fell in love with the sport. She started playing competitively when she was 9 years old. She was highly ranked in the Southern California region where she competed in tournaments from the ages of 9-16. She has been teaching tennis for 6 years through the City of Irvine junior classes and through various high school summer camps. A 2014 graduate of University High School in Irvine, Danielle played four years of varsity tennis and was captain of the team for her two last seasons. From the years 2012-2014, she led the Trojans to the CIF Southern Section Finals. Individually, she reached the CIF Southern Section quarterfinals as a sophomore and a junior, also making a semifinal appearance her senior year. From years 2013-2014, she helped the team reach the Southern California Regional Finals. A two-time Pacific Coast League selection (2012, 2013), Danielle was named the Pacific Coast League Player of the Year in 2014, and also named as a three-time all-OC Register selection (2012-2014). Danielle is a 2018 graduate from California State University, Fullerton and helped lead the Titans to 3 consecutive historic seasons from 2016-2018. For her rookie season, she served as Big West’s Athlete of the Week after clinching a win against Cal Poly SLO, as it was the team’s first win against SLO in 14 years. By the end of her rookie season, she was named co-player of the year by the team. As a PTR Professional, Danielle would like to give back to the city where she first started playing tennis. More importantly, she would like to give her students a fun learning experience in a sport which they can carry on for the rest of their lives. Danielle is currently teaching private lessons at the Great Park Tennis Center. 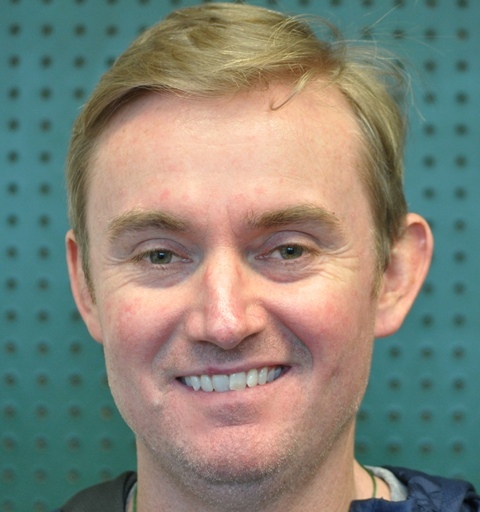 ​John works with the Brymer Lewis Tennis Academy and teaches private lessons out of the Great Park Tennis Center. 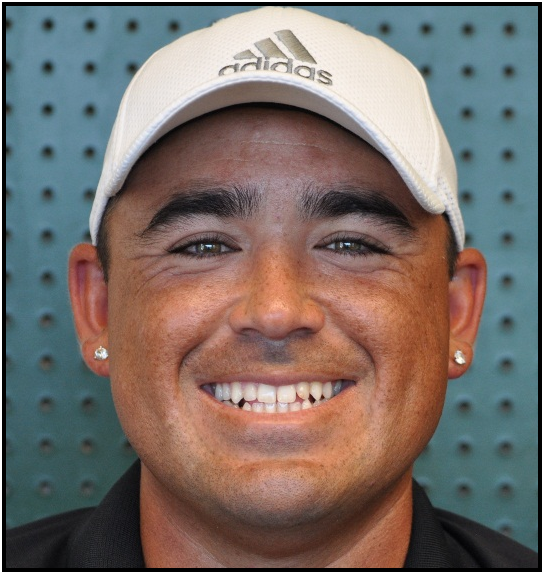 ​Ryan works with the Brymer Lewis Tennis Academy and teaches private lessons out of the Great Park Tennis Center. ​David Izumi began teaching tennis in Hawaii during the Summer of 1972. He helped develop successful tennis programs between 1994-2016 at Punahou School and Mid Pacific Institute. In 2016, David taught, coached and trained in Waikiki at the Hale Koa Tennis Facility. David moved to Irvine in early 2018 and teaches private lessons at Col. Bill Barber Memorial Park. Interested in becoming a tennis professional with the City of Irvine? Please send your resumé to tennis@cityofirvine.org.